Help me with this - its something I have been thinking a lot about, especially with regard to union political endorsements. We believe that unions are indispensable institutions for the promotion of human rights and the public good. Therefore, unions are subject to the human rights principles of Accountability, Transparency, Participation, and Inclusion. Accountability is the principle that mechanisms must exist to enable enforcement of human rights within the union. It is not enough merely to recognize human rights. There must be means of holding the union accountable for failing to meet human rights standards. Transparency is the principle that the union must be open with regard to information and decision-making processes. Members must be able to know how unions, which are necessary to protect human rights, are managed and run. Participation is the principle that unions must engage members and support their participation in decisions about how their human rights are ensured. Inclusion is the principle that all members have the right seek to participate in the union, in order to promote their human rights, without regard to race, gender, privilege, status, office, or any other factor. Perhaps no profession is as endlessly fascinated with evaluation as teaching. The concepts of transparency and accountability are woven into the very fabric of our work as educators in a way that is unique among professions. On the one hand this is laudable. On the other hand it leads to building of elaborate evaluation systems, systems that are costly, time consuming, and which are frequently criticized for efficacy. Too often these systems became exercises in bureaucratic hoop jumping, disconnected from improvements in actual practice. The trend during the Race to the Top/NCLB “flexibility” has been for states and localities to go down a rabbit hole of “multiple measures”, where a variety of components are added together, producing a number by which teachers can supposedly be compared, and which becomes the basis for various high stakes employment decisions, including hiring, firing, promotion, tenure and compensation. Is this whole less than the sum of the parts? 1) The majority of teachers teach in subjects without standardized tests. How do you capture a test score component for these folks? 2) The use and misuse of student testing has spiraled out of control. Parents are starting to wake up to fact that their children are being tested not diagnostically and for their own benefit, but for the purpose of sorting and firing their teachers. Because of the history and culture of our profession, we must be practical: teacher evaluation is not going away. So how can we build an evaluation model that is time and cost effective, objective, and connects to improvements in professional practice? In this approach, you put something at the center of the system. In many cases this would be traditional administrator observation, but it could easily be a Tripod style student survey, or a National Board portfolio, for example. Then you admit other data into the conversation for confirmation. The variety of these data points and what they reveal is in a variety of books and research papers, including notably Everyone at the Table and Getting Teacher Evaluation Right. We know that no one data point is a silver bullet that provides a complete, valid and reliable picture of professional practice. Professional practice is a complex and sophisticated enterprise that must be viewed through a variety of lenses. Observations, student achievement, surveys, artifacts, portfolios, etc, talk to each other in this scenario and become mutually reinforcing. There is one other key piece – you need a research-based rubric, which everyone accepts and understands, to provide a basis for professional conversation, and a roadmap for improving practice. In our district we recently agreed upon using Danielson’s Framework. It is important to understand that a rubric is not in and of itself an evaluation system. Rather, it provides the language to talk about practice, and you build the evaluation system around that language. Within the rubric, “anchor components” are individual components in each of the four domains that drive the other components of that domain. These anchor components are different for new and experienced teachers. Examination of practice within the anchor component provides reasonable assurance that things are OK in the other components of that domain. This simple idea has two important implications: first, it provides a way to differentiate evaluation for the career stage of the educator by looking first at key areas of practice. Second, it streamlines the process – by focusing an administrator’s attention, it reduces the data that needs to be looked at. One need only look at the full spectrum of components in a domain if an issue is detected in the anchor component. By using multiple data points, a research-based rubric and anchor components, it is possible to create teacher evaluation which is streamlined, accurate, and useful for planning professional growth. If you can take some of the stress out the experience, educators will naturally embrace a good rubric and internalize it. Why? Because teachers spend a huge amount of time with their students, and if they are more successful in this endeavor their lives will be better in very concrete ways. When educators take ownership of the profession, it reduces the need for elaborate teacher evaluation systems because the work is embedded in practice. A virtuous cycle ensues. Then the trick is how to connect this with professional development – but that’s subject for another blog! What improvements in teacher evaluation would help you in your work? In the third presidential debate Mitt Romney proclaimed twice, “I love teachers!” As a middle school teacher in Massachusetts while he was governor and now president of the Massachusetts Teachers Association I can assure you that we never felt Romney’s “love.” Our former governor never once met with the MTA to find out our views on education issues. He listened to business leaders and ideologues, not to classroom teachers, support staff or public higher education faculty and staff. We roll our eyes when Romney tries to take credit for our high-performing students. Massachusetts is a relatively affluent state that has always had good schools. Those schools were made even better as a result of a major education overhaul and increased funding for low-income districts adopted in 1993, 10 years before Romney took office. No major education initiatives were enacted while he was governor. In fact, Massachusetts cut funding for public schools by a higher percentage than any other state during his tenure. Romney’s boast that top-scoring students can attend any public college or university in Massachusetts “tuition-free” as a result of the John and Abigail Adams Scholarship he sponsored also elicits groans from educators, parents and students alike. In Massachusetts, our public higher education campuses charge very low tuition and very high fees, so the break these students get is way less than meets the eye. For example, this year tuition, fees, room and board at the University of Massachusetts comes to $23,436. Of that, only $1,714 is tuition, so the Adams Scholarship winner still has to pay $21,722 to attend. In addition, fees rose by $3,000 under Romney, more than swallowing up any small benefit from the scholarship. Romney was a frequent critic of those of us who call for smaller class sizes. He claimed that there is no correlation between class size and student performance even while he sent his own sons to the Belmont Hill School – an exclusive prep school that costs $37,000 a year and that touts “class size averaging 12 students per section” as one of its selling points. Truly, Mitt Romney is out of touch with the needs of low- and middle-income students. Mitt Romney has never liked unions. He especially dislikes teacher unions. While governor, he once told The Boston Globe, “We should put together all the stakeholders at the table, but not the unions. Individual teachers, yes, but not the unions.” It’s no surprise that today he believes that teacher unions should be barred from making political contributions. Not oil companies. Not tobacco companies. Just teachers and other educators. As with so much in this election, it’s important to get information from people close to the source to cut through the spin. This much we know. Mitt Romney is going to lose by a landslide in Massachusetts, the state where he served as governor until he got Potomac fever mid-way through his term and started roaming the countryside bad-mouthing our state and bad-mouthing teachers’ unions, even while proclaiming his “love” for teachers. Whatever he’s selling now, we’re not buying it. Take it from those of us who know. We must separate LMC as a public good from specific policy prescriptions. If a local or state affiliate decides for some unknown reason that merit pay, privatization, or exotic flavors of teacher evaluation is good for its members, I can’t speak for those people. But there is no reason that LMC can’t lead boards, administrators and unions into deeper and more refined work on conventional collective bargaining agreements, featuring single salary schedules and considerable opportunities for teacher leadership and autonomy. The term "Comprehensive Unionism" can better denote efforts to create a type of unionism responsive to the unique characteristics of education. In TURN, we use Three Frames as a lens analyze and improve our work. Industrial Unionism refers to the war fighting capability of the union, its capacity to use adversarial methods to promote bread and butter issues and enforce the collective bargaining agreement. A robust capacity is the foundation for the other two frames. Professional Unionism speaks to our capacity to be the arbiters of quality in the profession, to improve instruction for the betterment of teachers and students. Social Justice Unionism demands that we see the big picture: unions exist not just for the betterment of members, but for the betterment of all. The recent Chicago Teachers Union strike was a shining example of Social Justice Unionism in action. My work as a local president has focused on the Professional Unionism lens. In my 20 year career, I’ve lived through 16 principals and 7 superintendents in 5 schools located in 3 different Vermont supervisory unions. This experience has taught me that the quality of teachers’ (and therefore students’) lives on a day to day basis is profoundly affected by the quality of administrative work. As teachers, we ought to know through our experience with students that if you treat people like idiots, you get….idiocy. What if we flipped this and used collective bargaining as a tool to promote excellence rather than to eliminate incompetence? What if we gave flexibility to administrators to administer schools with the expectation that along with this assistance comes a high bar. And what if boards and administrators took a risk, and gave teachers autonomy and leadership opportunities, along with an expanded definition of what it is to be a professional educator, with the expectation that we would provide evidence of improved professional practice and student learning, evidence which could be readily seen by reasonable citizens? In such a system incompetence would be noise. When you have to hire millions of teachers and administrators a certain amount of noise is inevitable. We should focus on the music, so that it drowns out the noise. Professional success promotes the happiness of teachers. When students are learning and growing, it improves the quality of educators’ lives through a profound sense of professional accomplishment. In my world view, unions are great American institutions which exist to promote well-being. See the connection? Let's raise the bar. In 2012, their number is no longer negligible, and they are no longer considered stupid. To varying degrees this perspective dominates both political parties such that working people really have no alternative which supports a concept of public good in electoral politics, except for the occasional outlier like Bernie Sanders. Neoliberalism is the political and economic philosophy driving our politics in 2012. Many people have never heard of it, or if they have, do not understand that the engine of our political life is the same one which motivated the criminal regime of General Augusto Pinochet in Chile in the 70’s and 80’s. The term itself is unfortunate. I suspect many people have positive connotations when they consider the word liberal outside the political context: to be liberal minded, to be liberal with one’s friends (generous) etc. The prefix neo is something we associate with pleasant styles which evoke nostalgia: neoclassical, neo-romantic, neo-gothic, etc. Neoliberalism is neither pleasant nor liberal. The rule of the market. Liberating "free" enterprise or private enterprise from any bonds imposed by the government (the state) no matter how much social damage this causes. Cutting public expenditure for social services like education and health care. Reducing the safety-net for the poor, and even maintenance of roads, bridges, water supply. Eliminating the concept of "the public good" or "community" and replacing it with "individual responsibility." Rather than building up the institutions of public good, neoliberalism seeks only to tear them down. Yet actions based on neoliberal thinking are still commonly referred to as policy! In education, NCLB and Race to the Top are not policies in any traditional sense because they have the effect of diminishing public education, and weakening the bonds between citizens and their institutions. These are not policies; they are antipolicies. Antipolicies are being advocated by both political parties. On the one hand we have Republicans who advocate decapitating our institutions swiftly. On the other, Democrats advocate doing it slowly, the death of a thousand cuts. Oh yes we’ll preserve our civic institutions they go, we’ll just make everything a little better by instituting a few market reforms here and there, give people some “choice,” make government “accountable” through the miracle of the invisible hand, encourage personal responsibility through welfare “reform,” etc. Being a little bit neoliberal is like being a little bit pregnant. Public policy is rooted in a robust concept of public good. We need to stop dignifying actions divorced from a concept of public good with the word “policy”. These are antipolicies. We also need to stop dignifying the purveyors of antipolicies with the term neoliberal. They are criminals. 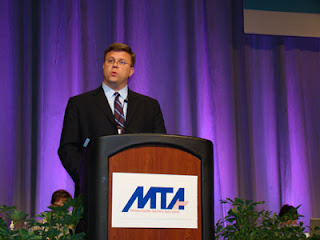 Brian Walsh served as vice president of VT-NEA. He is a graduate student at the Labor Center of the University of Massachusetts Amherst, and is currently teaching high school and interning at the Vermont Workers Center. These are his workshop remarks at The People's Convention in Burlington VT today. 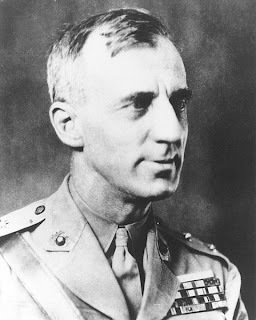 I was asked to provide a little historical analysis, and I started thinking about Smedley Butler. He was a marine, I guess a good one - he killed some people, got a bunch of medals and became a general. But after he retired he wrote a little book called War Is A Racket. According to Butler, a “racket” is “something that is not what it seems to be, … conducted for the benefit of the very few at the expense of the very many.” By that definition, I think a pretty good argument can be made that most unions today, including public sector unions, are “rackets” too. That’s harsh, but Butler’s definition begins by saying a “racket” is something that is “not what it seems ….” Unions were created to protect workers’ rights, including the right to a decent living, at their workplace and beyond. Unfortunately, most unions today, are doing a poor job at protecting anyone’s rights, except perhaps the “right” of employers, be they public or private sector, to squeeze and oppress their employees. There’s a war on against labor, and labor is losing. Although the NLRA, better known as the “Wagner Act,” guaranteed unions legal recognition, it’s purpose was to maintain “labor peace.” In other words, the law made labor part of the system in order to ensure that that system kept working. Although some unions, mostly CIO, remained militant into World War II and beyond, laws such as 1947’s Taft-Hartley Act, and agreements like UAW’s 1950 GM contract, the infamous “Treaty of Detroit,” insured labor would not regain the offensive. Thus in retreat, the business-union model, where union members are “serviced” by staff, was created. In return for concessionary contracts, unions, and their officials were granted relative autonomy. That’s where the second part of Butler’s definition - “[benefiting] the very few at the expense of the very many” - applies. In case you haven’t noticed, working for a union can be profitable - salaries are often 50 to 100 percent higher than those of members paying those salaries. I’m not saying that union staff don’t deserve their pay, but I do think they have the duty to help members fight for their human rights, not encourage them to accept ruling class paradigms about everyone needing to “tighten their belts;” but then, unions would have to change the ways they do business. They would have to abandon their stale business unionism, and empower, encourage and equip their members to fight and win. Since too many union officials prioritize the status quo - which benefits their individual interests over workers’ collective rights - it is up to members to change union priorities. However, too often members are unequipped or unready to take the actions needed to move their unions forward. Therefore, as scholar and social activist Staughton Lynd explained in his concise work Solidarity Unionism: Rebuilding the Labor Movement from Below, small, informal groups of workers, and their supporters, whom he called “parallel unionism,” are needed to push those unions. That’s what happened in Chicago, as the “parallel union” - CORE - became the driving force behind the transformation of the Chicago Teacher’s Union - formerly a status quo-loving AFT local - into an organization willing to fight the neoliberal takeover of the Chicago Public Schools. Obviously, it will not be an easy fight; Mayor Rahm Emanuel and the corporations seeking to privatize public schools are well-financed and powerful. CORE’s vision - protecting education as a human right and a public good - will need to be broad enough to attract sufficient class and community support needed for success. Although odds are against Chicago’s teachers, the path they’ve chosen is the only one that can win; “business as usual” unionism is clearly destined to lose in our life-and-death struggle against the neoliberal takeover of our public good. The Program for International Student Assessment results have become a political football for crtics of our public education system. The United States middle of the pack scores on these international benchmarks are said to be an indication of the "failure" of our public schools, and a threat to national security, a tired narrative that has been repeated since the ascent of neo-liberalism in the 1980's. The Program for International Student Assessment (PISA) is a system of international assessments that focuses on 15-year-olds' capabilities in reading literacy, mathematics literacy, and science literacy. PISA also includes measures of general or cross-curricular competencies such as problem solving. PISA emphasizes functional skills that students have acquired as they near the end of compulsory schooling. PISA is coordinated by the Organization for Economic Cooperation and Development (OECD), an intergovernmental organization of industrialized countries. Begun in 2000, PISA is administered every 3 years. Each administration includes assessments of all three subjects, but assesses one of the subjects in depth. The most recent administration was in 2009 and focused on reading literacy. There are ways of considering these results that reveal that our public education system is first rate, and that our failures are not failures of education policy, but a colossal ethical lapse by a rich and powerful society that refuses to invest in its own future by failing to attend to the basic human needs of its youngest citizens. The National Association of Secondary School Principals (NASSP) disaggregated the PISA results by poverty, with the metric being the number of students on free or reduced lunch. For example, when you compare US schools with free/reduced population of 10% or less with countries reporting less than 10% child poverty, the US schools outperform. Similarly, 10-25%. Over 25%, Mexico is the only comparable, and again, US schools outperform. Frighteningly, the US is headed for a child poverty rate of 25%. And, even more amazingly, we have schools in this country with near 100% poverty. Where are the comps? Chad? Malawi? Looking at these results, its clear other developed nations don’t tolerate that sort of poverty among those who will be building their futures. Poverty is a ball and chain on our education system. While as a professional educator I wholeheartedly support efforts to improve instruction, I have to ask can’t we at least move forward simultaneously on the problem of child poverty? This is not excuse making – its a both/and solution. We need a holistic approach to solving our nation’s problems, one which admits that economic upheaval, social dislocation, war, etc have an effect on education attainment, and also admits that educational success impacts our ability to address those other problems. The Obama/Duncan approach tries to fix education by putting it in a silo – and worse, uses rhetoric which encourages people to believe that we can somehow educate our way out of systemic poverty. This burdens our education system with unrealistic expectations and distorts policy. Cut that ball and chain and the policies we would be looking at to improve education would be VERY different. Compliance with testing mandates is not very high up on Maslow’s hierarchy of needs for people living under what for most of us would be unimaginable conditions.